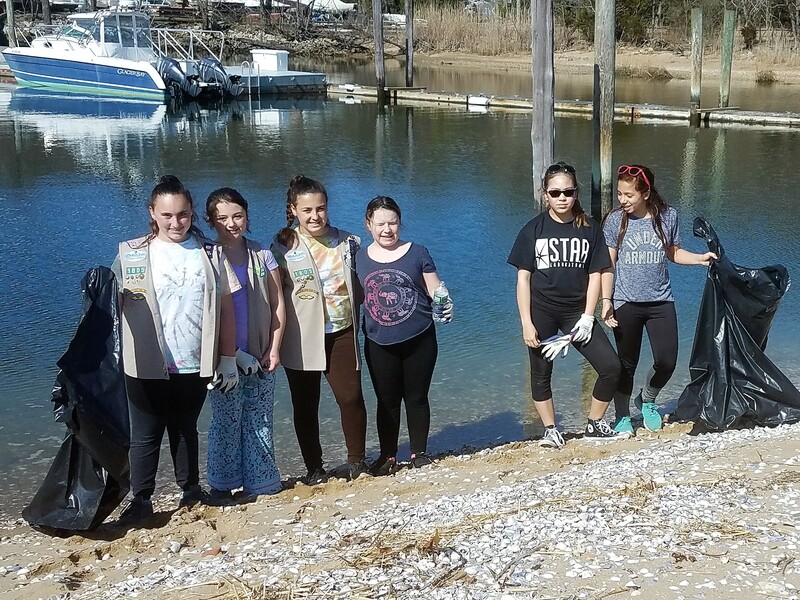 Girl Scout Cadette Troop #1805 of Mineola spent a sunny afternoon with the Land Alliance cleaning up the shoreline at Shore Road Sanctuary in Cold Spring Harbor. The girls were helpful in discovering a delicate nest of a Killdeer (a shorebird related to the Piping Plover) who had decided to make her home next to the parking lot. After the excitement of the discovery passed, the girls helped weed the gardens and found rocks to delineate a planting bed. Boy Scout Troop #195 of Glen Head approached us over the winter about getting involved. It didn’t take long to find a niche for them as spring was fast approaching and we had not yet completed our winter tool maintenance! The troop offered to sharpen our much-used loppers, shears, pick axes and hand pruners at a couple of meetings. They did a beautiful job, even picking up and returning the tools to our office. (We hope to make this an annual event!) 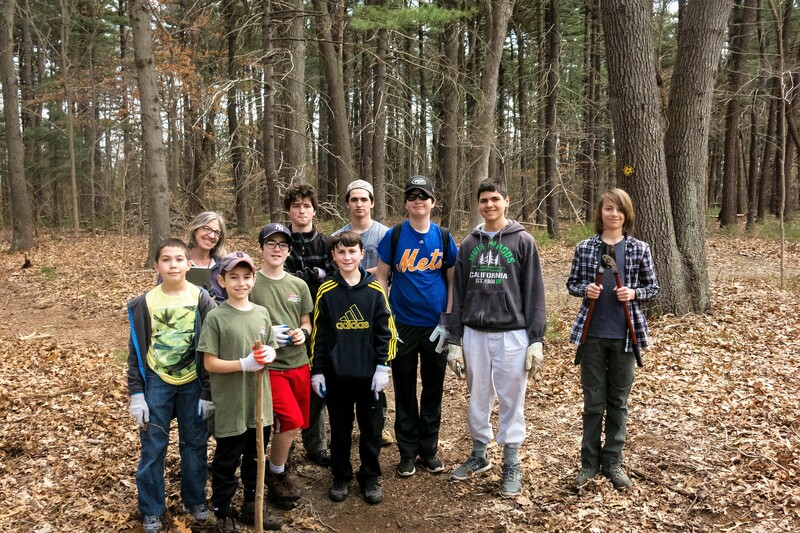 Not surprisingly, the troop was also looking to assist with work in preserves and decided that our 42-acre Hope Goddard Iselin Preserve in Upper Brookville would be the perfect site to adopt. Already, they’ve carried out our annual boundary check, cleared fallen limbs from trails, leveled tire ruts on the driveway and reinstalled a gutter that had come down from our informational kiosk! North Shore Land Alliance is seeking more high school students, retirees, educators, nature enthusiasts, youth groups and community-minded businesses to help us steward these beautiful areas we have been so fortunate to preserve. These areas safeguard our air and water supplies, provide wildlife habitat and create places for people of all ages to play, learn and connect with nature. To learn more about our corporate and individual volunteer opportunities, contact Andrea Millwood at 516-922-1028 or andrea@northshorelandalliance.org.